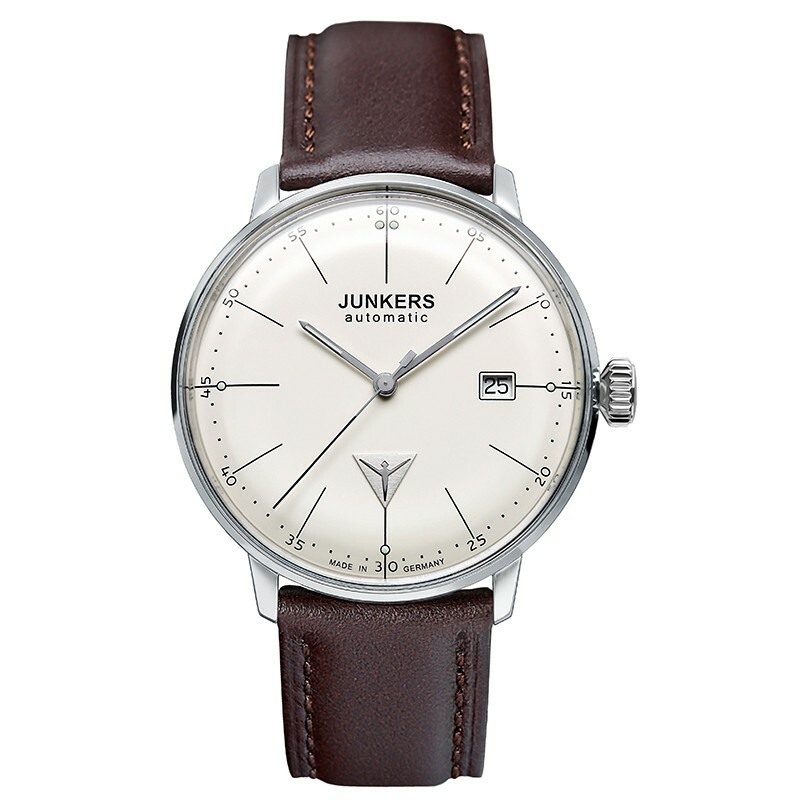 The Bauhaus is an elegant timepiece designed for the discerning male buyer. 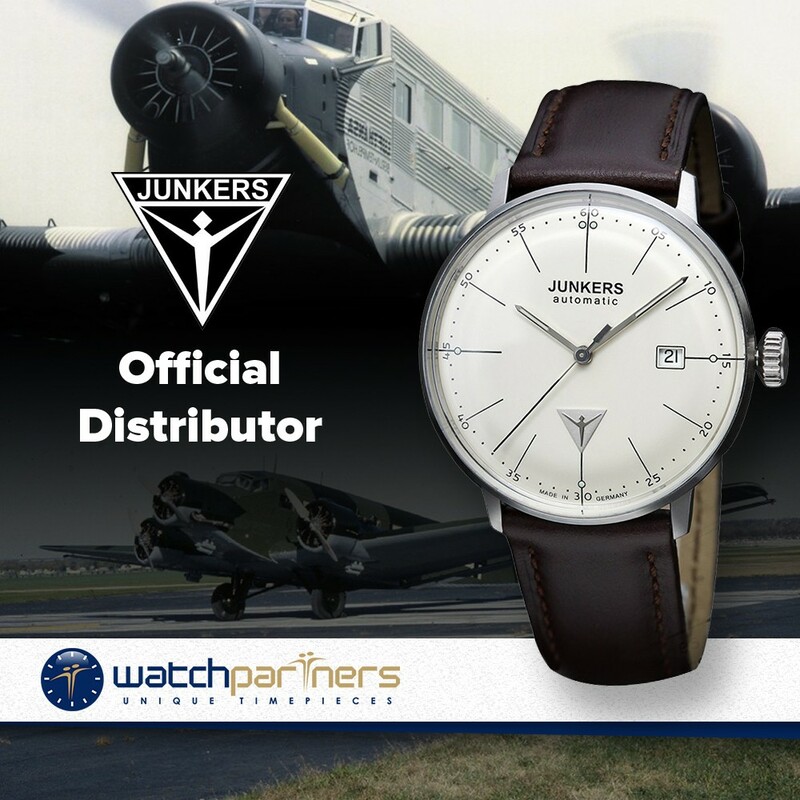 Dimensionally the watch displays classical proportions and has a 40mm x 11mm polished steel case. 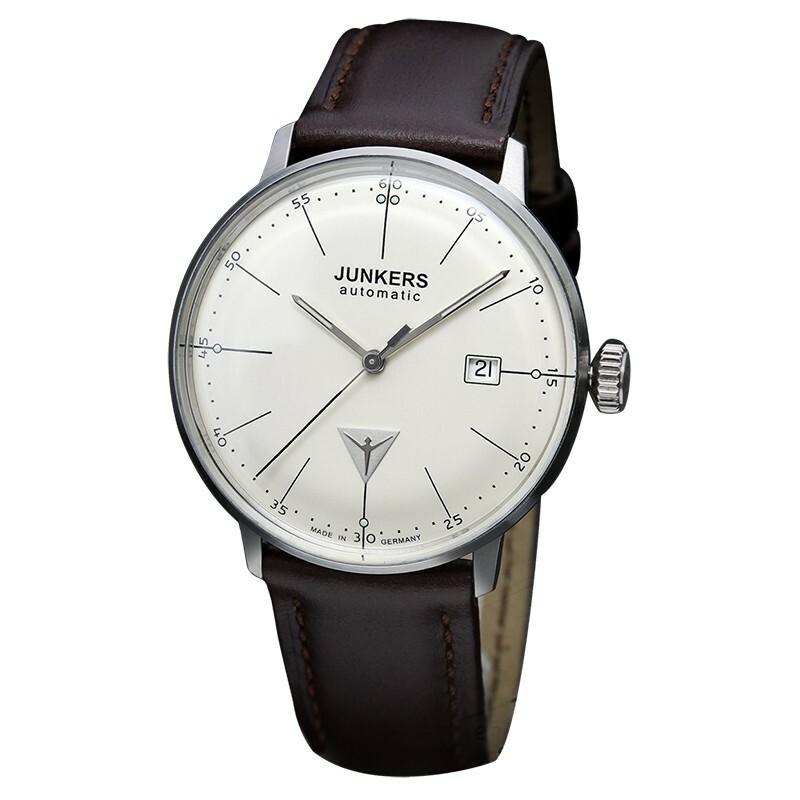 What makes this timepiece so attractive is the beige dial with contrasting black numerals and markers. 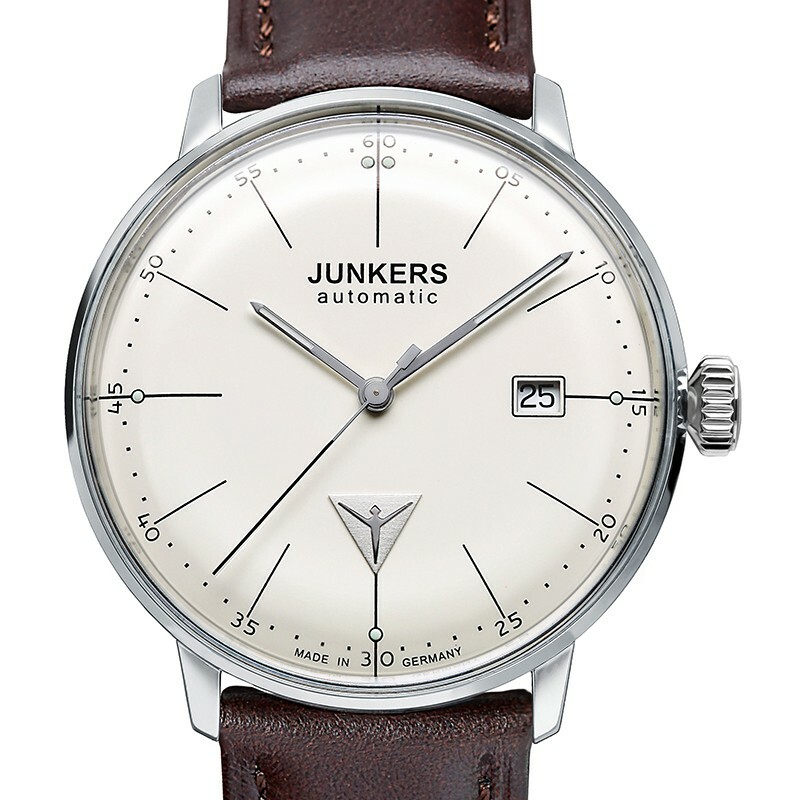 Other features include a discreet date window (located at 3 o’clock) slender steel hour/minute hands, black leather strap and Hesalite crystal lens. 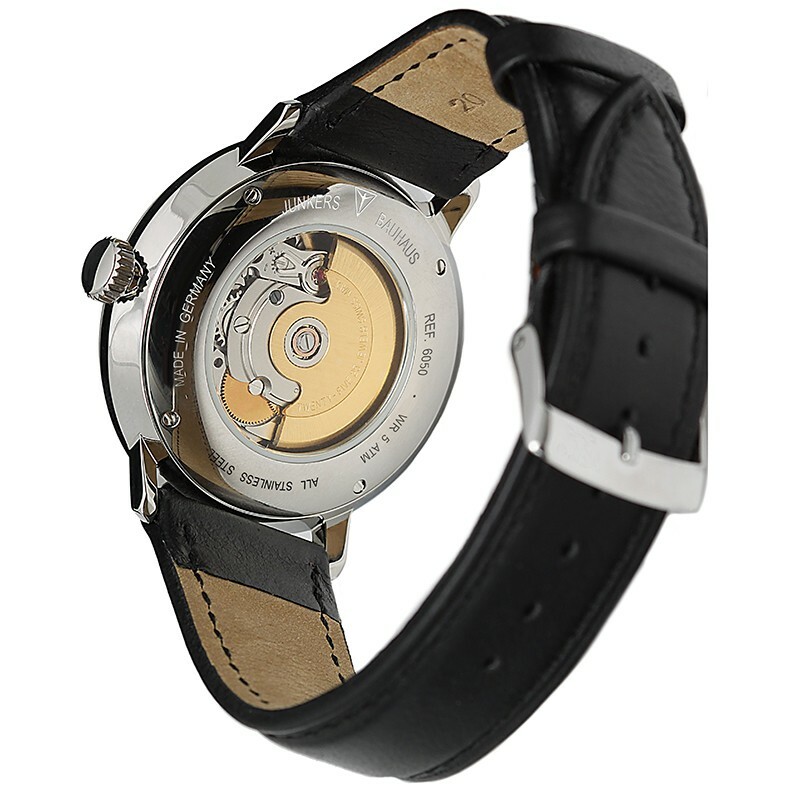 Powering the watch is a Swiss made ETA 2824-2 or Sellita self-winding mechanical movement. This caliber comprises 25-jewels and oscillates at a frequency of 28,800 vibrations per hour.